A shy, but healthy, young Red-footed tortoise. In the 1970s and 1980s, thousands of Red-footed tortoises were imported from Guyana, Suriname, and Colombia. Although Red-footed tortoises are protected under Appendix II of the Convention on International Trade in Endangered Species (C.I.T.E.S. ), they are still imported from farms in Venezuela, Brazil, and the Suriname/ Guyana area. 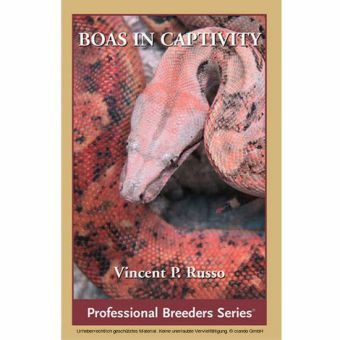 I of course recommend that anyone wanting a Red-footed tortoise for a new pet should search for and purchase a captive-hatched Redfoot. These captive-produced tortoises will be less stressed, are less likely to harbor dangerous internal parasites, and they promote the work of tortoise breeders across the country. 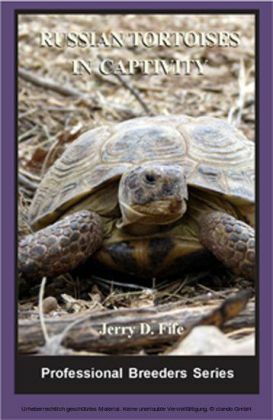 Red-footed tortoises and Yellow-footed tortoises are hunted for food. They are often kept for long periods of time without food or water until they are slaughtered or shipped off to the pet trade. 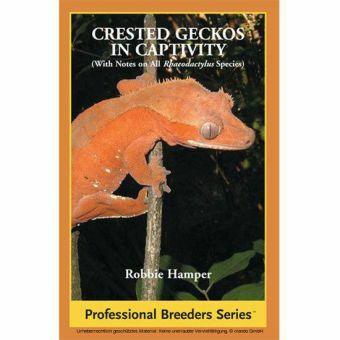 It is not advisable to start out with a wild-caught Redfoot or Yellowfoot for a pet. This has proven to be quite a challenge even with the most experienced keepers. Tortoises captured for the pet trade are often not given the best of care before importation. Recently imported tortoises often arrive dehydrated, anorexic, stressed, and heavily loaded with parasites. Complicating matters is the fact that they are not likely to immediately acclimate to their new surroundings especially if being kept indoors. Some wild-caught specimens may never adapt to life in captivity. Two young Red-footed tortoises, both produced from parents with pure Colombian stock, showing the variety of specimens within an area. Photo by Bill Love. Never mix a wild-caught tortoise with tortoises you already have. They will need a quarantine period of at least 90-120 days. Soak them in tepid water each day to make sure they are hydrated properly. 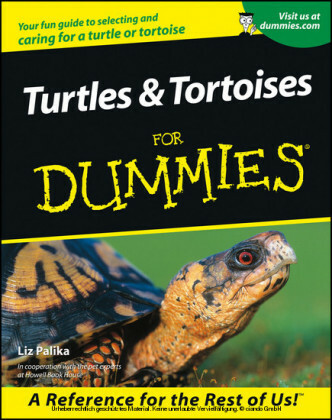 Wild-caught tortoises should be checked by a veterinarian for parasites and other medical issues. The Yellow-footed and Red-footed tortoises will benefit from captive-breeding to reduce pressure on wild populations. Once abundant in their native land, their numbers are dwindling due to frequent capture. Tortoises are easily caught by hunters who sometimes use dogs to find them hiding in vegetation. Dry season vegetation is also burned to aide in capture. Some are sold as pets and many others are eaten. 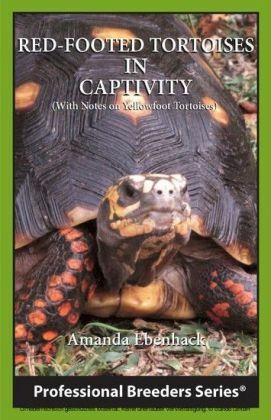 Further complicating the situation are the years it takes for a Red-footed tortoise and a Yellow-footed tortoise to reach sexual maturity. It's best to have your new tortoise's enclosure ready for it before you bring it home. This will avoid stress on everyone. If you have other pets in the home you must consider safety issues for your tortoise. Dogs and tortoises do not mix! Even the sweetest of dogs that has never hurt a fly will usually instinctively chew on a tortoise. It's your responsibility to keep them safe! Be sure your tortoise's enclosure is secure and away from any pets. Keeping them out of harm's way will help avoid any costly veterinary bills down the road. ___ Enclosure appropriate for the size of your new tortoise (see Indoor Enclosures) for help with this decision. ___Light fixtures (can be purchased at home supply stores). You will need a basking lamp fixture and a strip-light fixture if housing indoors. ___The phone number of a qualified reptile veterinarian (check www.arav.org to find a reptile veterinarian in your area).